We are home and garage organization specialists. We come to you with a free in home consultation and our exclusive 3D design software and organize your space right before your eyes! We have organization solutions for your closet, home office, entertainment center, mudroom, laundry, garage and more. We even have murphy beds and we specialize in Polyaspartic garage flooring as well! *Authorized Dealer of Urban Effects Cabinetry & Cuisine Idéale* ****Please book appointment for best possible service. 403.864.6060 Blackwood Interiors Inc. has been in operation since 2014 and is based out of Sylvan Lake, Alberta. 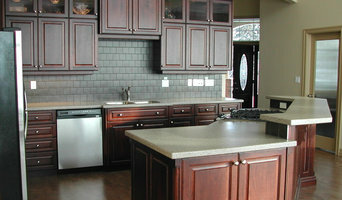 We specialize in custom cabinetry, counter-tops and complete home renovations. Our team has a vast range of expertise in crafting beautiful and unique designs, including updating behind the scenes, such as plumbing and electrical. Blackwood Interiors Inc. will provide a personal consultant who will work closely with you to incorporate your inspired style into your design and to address any concerns along the way. With flexibility in mind, we offer completing projects from start to finish or individual product install’s for simple room updates. With respect for your budget we make costs clear and quotes quick to provide an enjoyable and worry-free renovation experience. Call today to receive a quote and to create the stunning home you always wanted. Celebrating over 25 years in Red Deer, Woodmaster Cabinets has been building relationships with contractors and individual customers by focusing on customer service and quality craftsmanship. We are locally owned family business operating a showroom and manufacturing facility in Red Deer, Alberta. We are proud sponsors of the 2013 Kinsmen Dream Home. Start with a visit to our showroom. See our latest styles and cabinet innovations, feel the quality in workmanship and materials. Our friendly professional associates will help you plan your dream kitchen, bathroom or whole home cabinets. Our designers, using the latest software will design and render a realistic visual model of your design. 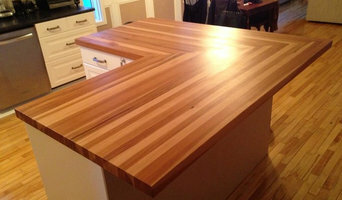 Slight Edge Cabinetry Ltd is owned and primarily operated by Lance Huget. He is a Red Seal Journeyman Cabinetmaker who has worked in many aspects of the cabinetmaking trade. His experience ranges from handmade custom furniture to production cabinetry environments. He strives to live his values through the company vision of Slight Edge Cabinetry, which he believes gives the business that "Slight Edge" over his competitors. Lance lives in Sylvan Lake, AB with his wife Stephanie and their two young boys. His journey began years ago with a passion for hands-on custom woodworking, and a desire to be a lifelong student. Years of actively working in the trade and attending technical training has given Lance the opportunity to broaden his horizons as he leads Slight Edge Cabinetry in serving the custom millwork and cabinetry needs of his clients. Westridge Cabinets is proudly Canadian. Based out of Red Deer, Alberta our custom products are crafted in-house to deliver high quality style to your home. Whether you are a large-scale builder looking for a reliable business partner or a homeowner seeking to reinvigorate their home with a renovation, Westridge Cabinets has the solution for you! Westridge has grown from a simple distribution centre in 1983 to the largest fully-integrated cabinet manufacturer in western Canada. At Westridge, we handcraft every piece of your cabinetry, test the robustness of the finishes to the demands of daily use with industry-leading rigour in quality control standards, and back every cabinet with our Total Care Guarantee and Lifetime Limited Warranty. JIm Coffey has been working with wood for most of his life in one form or another. His first real exposure to fine furniture came at the age of eighteen while working on a farm in Suffolk, England. His employer operated a store front in the nearby town which dealt in high end reproduction furniture. During off time at the farm, Jim had the opportunity to help at the store where impressions of fine craftsmanship left a lasting impression. Jim began his career as a part time professional in 2000 after constructing a shop next to his home in Innisfail, Alberta. So began an intense submersion into the world of studio furniture. Completely self taught, Jim continually ramped up the designs and craftsmanship of each new piece. Books, magazines and online information were his teachers. The writings of furniture icons James Krenov and Sam Maloof were powerful influences. In 2007 Jim took the final step (much to his wife Sandi's horror) - leave the day job and dedicate himself to woodworking full time. The difficult task of survival as a full time furniture and cabinet maker was a risk he was willing to take. Celebrating over 20 years in Red Deer, Woodmaster Cabinets has been building relationships with contractors and individual customers by focusing on customer service and quality craftsmanship. We are locally owned family business operating a showroom and manufacturing facility in Red Deer, Alberta. 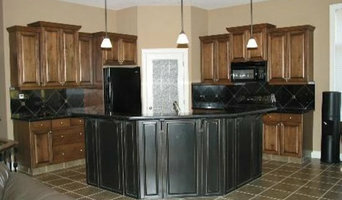 Design, manufacture and installation of award winning custom cabinets. My name is Dale Bolze and I started L.A.County Cabinets in March of 1999. This was a dream of mine for several years. At that point I already had thirteen years experience and had completed my apprenticeship. My intention at that time was the same as it is today - to provide a variety of services that a small custom shop offers. No job is too small or too large. My past experience had proven to me that this was needed in today’s marketplace. A small cabinet shop such as mine has never required a showroom as we have never built the same project twice - which inspired me to develop a web site where, in the comfort of your own home, you can browse through some pictures at your own pace. So please feel free to have a look around and don't hesitate to contact us with any questions or your project needs. Cabinetry professionals design, construct, refinish and repair banks of conventional cabinets, but they also create customized storage and shelving for home offices, playrooms, bedrooms, media rooms and other spaces. 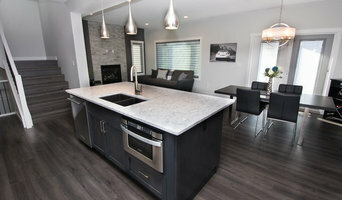 They’re in the know about Alberta design trends and different cabinet styles, as well as the latest in special inserts and other options that boost functionality. Cabinetry professionals also can craft furniture to your specifications, such as a corner cabinet for a kitchen or a dining room hutch. In addition, Red Deer, AB cabinetry pros can help you give worn or dated cabinets a makeover. They can replace doors; add glass inserts, decorative moldings and other details; or give cabinetry a new coat of paint or specialty finish. Your cabinetry professional might work closely with an Alberta kitchen designer, builder, remodeling contractor or interior designer. Here are some related professionals and vendors to complement the work of cabinets & cabinetry: Kitchen & Bath Designers, Kitchen & Bath Remodelers, Interior Designers & Decorators, Closet Designers and Professional Organizers, Woodworkers & Carpenters. Find a cabinetry professional on Houzz. Narrow your search in the Professionals section of the website to Red Deer, AB cabinets and cabinetry. You may also look through Alberta photos to find examples of cabinets that you like, then contact the cabinetry professional who worked on them.